Benefits of Metal Roofing | 41 Lumber - Serving Iron Mountain and the U.P. The metal roof is nothing new. We’ve all seen picturesque images of old barns and farmhouses with an aesthetically weathered, corrugated metal roof. Having seen them, has it ever occurred to you that these old houses and barns have stood all this time, and the same old roof was still doing its job? Metal roofing has had its place in architecture for hundreds of years. For example, a copper roof that had been installed on the Hildesheim Cathedral in 1280 A.D. is still functional to this day. Though more expensive than traditional asphalt shingles, metal roofing is still a long term value. The fact that the industry now offers an incredible variety of styles and colors to choose from makes the decision of metal roofing even more compelling. Metal roofing lasts longer than asphalt, wood shingle and cement tile roofing. These other types of roofing are much more susceptible to the effects of weather. Asphalt shingles breakdown slowly over time. The freeze/thaw cycle slowly degrades tile and wood. The intense, direct heat of the sun and its UV rays constantly work to shorten the life of your roof. Metal roofing is much more resilient under these conditions. If you plan on living in your home for a long time, the value of having chosen metal roofing increases. If fact, you would likely have to install asphalt at least one more time over the comparable lifespan of metal roofing. Metal roofing, especially in lighter colors, reflects the sun’s heat and UV rays rather than absorb it. Your home will be much cooler in the summer, thus reducing the burden on home cooling costs. Metal roofing weights much less than traditional roofing materials. Compared to asphalt, which weighs in at 750lbs per 100ft², or tile at 900lbs per 100ft², metal roofing is only about 100lbs per 100ft². This reduced weight can save additional money by a decreased need for the frequency of truss support in new construction. 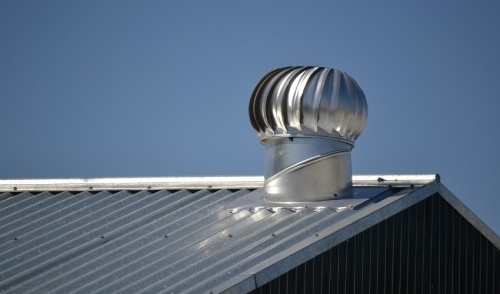 Metal roofing contains significant recycled materials and is itself recyclable. Asphalt shingles, on the other hand, add a lot to the landfills each year. However, in many cases, a metal roof can be installed right over the asphalt roof. That will keep the asphalt on the house and out of the landfill. Because metal roofing is a natural fit for wind and fire resistance, many insurance companies offer discounts for homeowner with metal roofing installed. Nowadays, many people are surprised to see the many varieties available. Ask our experts and see if we’ve got the right style and color you are looking for. Keep in mind, if you plan on keeping your home for a long time, a quality, durable metal roof will provide virtually maintenance free beauty for many years to come. It will probably be the last roof you’ll have to buy.